Agency / News / WHY BUY WITH JUNOT? 1) Priority to our loyal customers As a registered customer with Junot, you will be informed in advance of new goods placed on the market. By subscribing to Junot's email alert, you will be informed before the real estate portals. 2) Complete information on the property 24H / 24 on www.junot.fr Visit virtually without leaving your home, access professional HD photos, interactive maps, detailed descriptions, geolocation and the environment of the goods that interest you 3) The strength of a network: nearly 1,000 properties for sale in Paris In order to find you the rare pearl, Junot is a member of various networks of partner agencies that pool their property to offer you the widest choice on the Paris market. 4) Leading agencies open 6 days / 7 The teams of Junot are at your disposal 6 days / 7 in the agencies, by phone, by mail and by chat, to inform you and make you visit our properties. 5) Listening, monitoring and reactivity for your research We spend time together to understand your request and save you time. We regularly remind you and keep you informed of any news for sale. 6) Expert advice Junot's employees are real estate professionals, neighborhood specialists and negotiators, who are regularly trained. They are the guarantors of a successful and secure transaction. 7) Selected and validated properties Junot selects the proposed properties and validates the technical and legal files upstream to avoid unpleasant surprises. We provide you with all the legal information on the property, its co-ownership and its environment. The gyro function is now available on virtual tours of Junot! 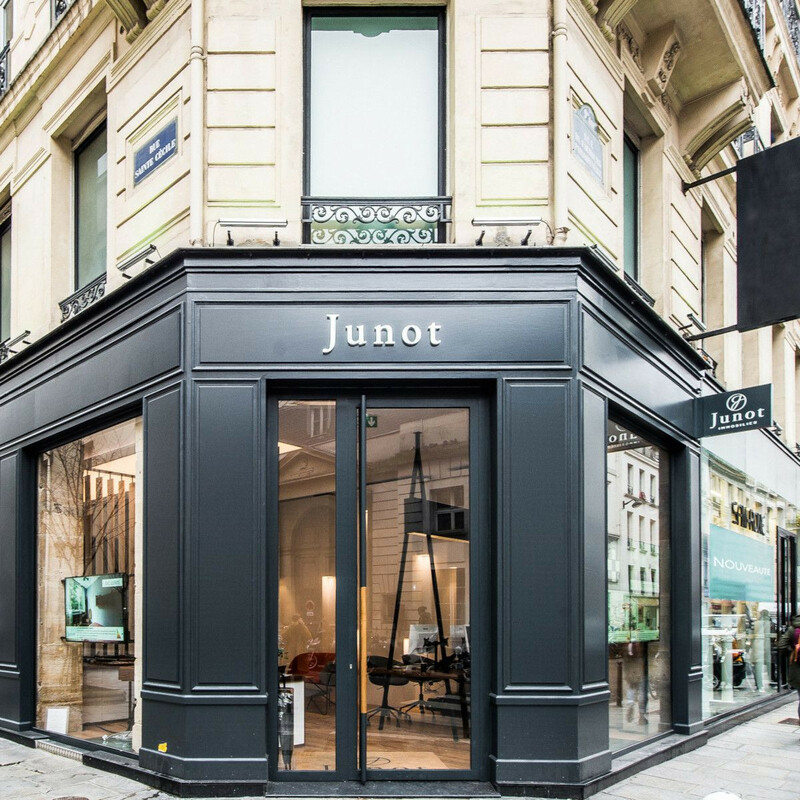 JUNOT’s 12th agency has taken up residence in the heart of Neuilly-sur-Seine.